The Watershed Spotlight recognizes important efforts to improve the health of our watersheds. 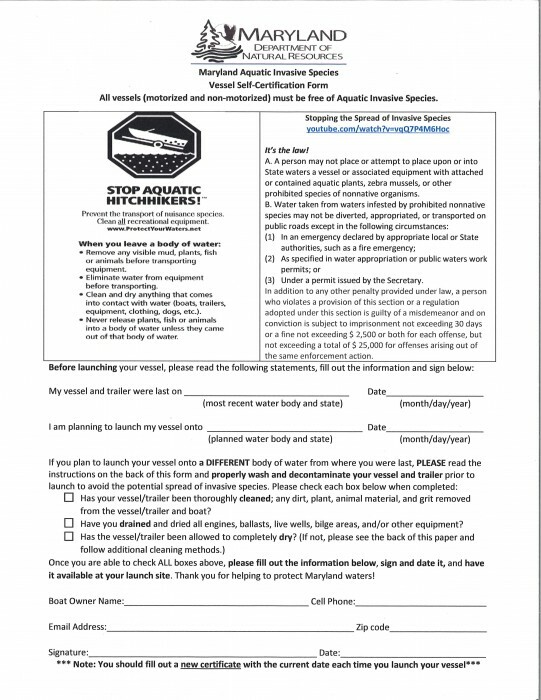 The spotlight will be periodically updated to recognize the many stewards of our watersheds. The Maryland Park Service provides funding and training to the Launch Stewards Program while Professor Kevin Dodge, Director of the NRWT Program, provides the students and coordinates scheduling. Professor Dodge remarked that the Launch Steward Program “is a great opportunity for students to gain experience with aquatic invasive species and to work with the public”. Dodge noted the importance of the program as a defense against non-native species introductions and also as a valuable outreach opportunity to help educate boaters. The Launch Stewards also incorporate technology to record and deliver data to Maryland Park Service staff by using tablets to record information about the origin and types of the vessels, previous launch locations and other attributes that assist the Department of Natural Resources in their efforts to protect Maryland waters from unwanted aquatic invaders. 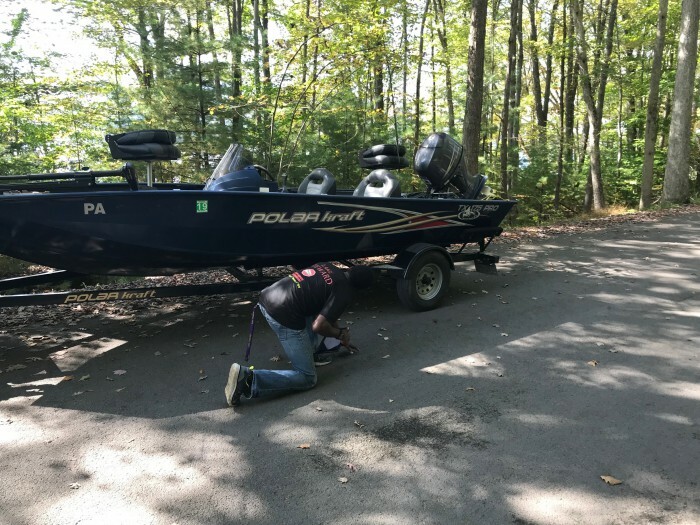 At Deep Creek Lake, Launch Stewards begin inspecting vessels the week before Memorial Day Weekend and continue to provide daily coverage until Labor Day Weekend. The Launch Stewards also continue to provide inspections on weekends through Autumn Glory Weekend in October. 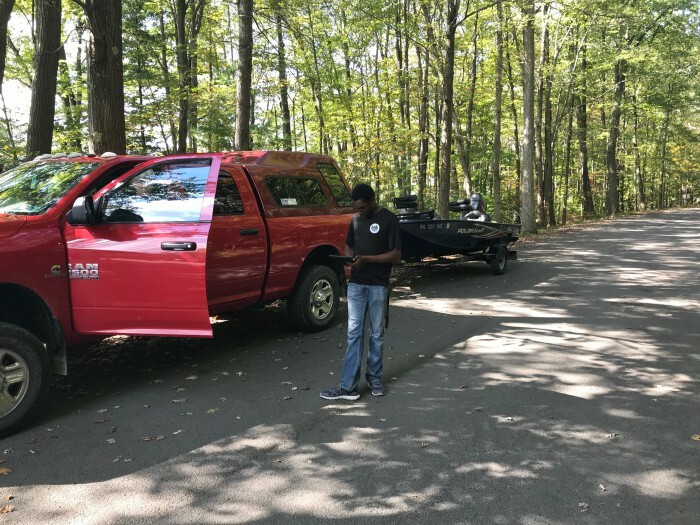 A Launch Steward interviews a boater and inspects their vessel prior to launching on Deep Creek Lake. The inspections are voluntary; however, typically 1% (or less) of boaters refuse the inspections. 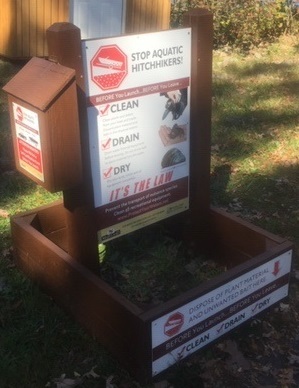 State regulations also help to support compliance because boats must be free of any aquatic invasive species before launching or their owners are in violation and subject to fines and/or imprisonment. 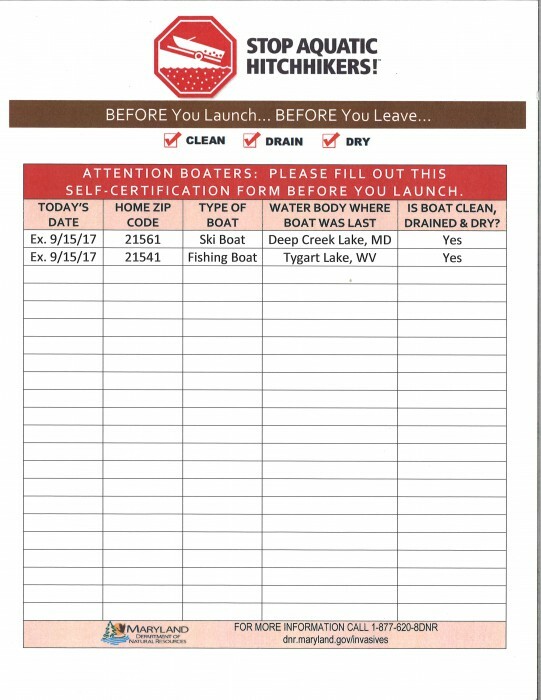 Boaters launching at private facilities or when launch stewards are not available are asked to check over their own boats and fill out the Boater Log found in the AIS disposal stations located at the Deep Creek Lake State Park boat ramp and participating private locations. 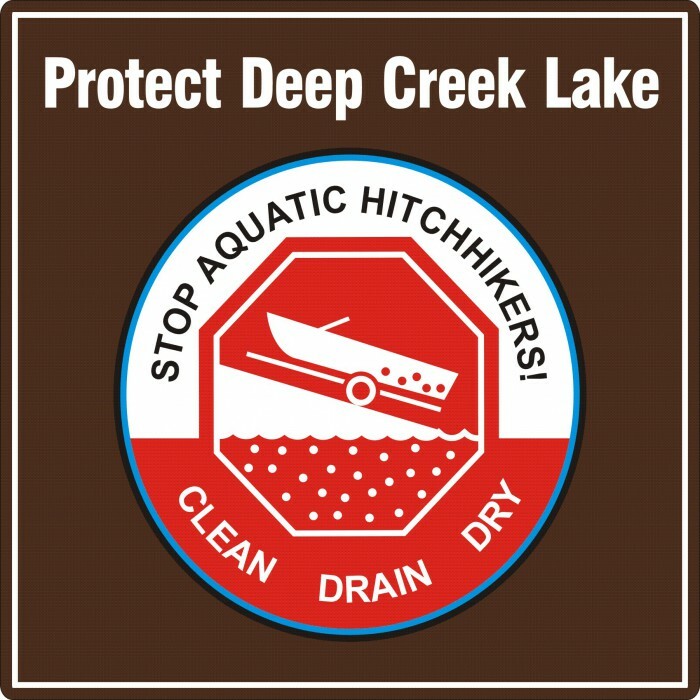 The Launch Stewards have inspected over 14,000 boats since the program's inception in 2014 and have prevented potential introductions into Deep Creek Lake by successfully detecting AIS on 26 of those boats. The percentage of contaminated boats is low; however, it only takes one introduction to create significant environmental and economic impacts to our waters. 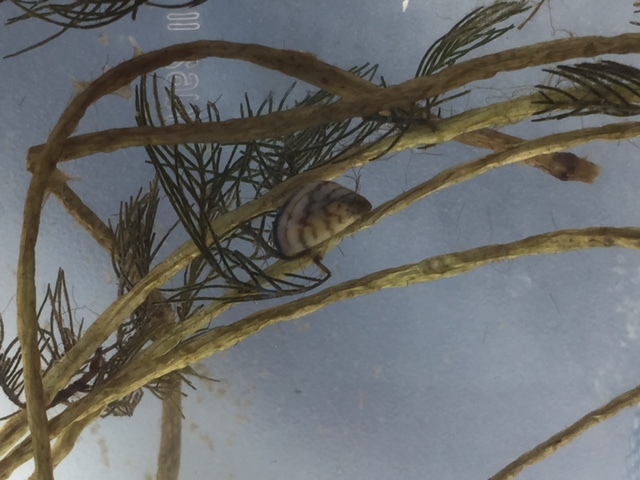 Zebra mussel introductions are particularly concerning because treatment options are not available to adequately manage populations once they become established. This site was created in order to provide a centralized location for information, resources, and news for all stakeholders in our watersheds in Garrett County, Maryland. This site is for informational purposes only and does not represent the views or opinions of any single entity. Every effort has been made to provide accurate information and timely updates. Please utilize the contact link to provide feedback or suggest any corrections.